Mondelez vs. Zurich: How watertight is cyber insurance coverage? Don’t worry, it’s insured! Well, eh, at least I think it is. There’s an old joke: what do hospital gowns and insurance policies have in common? You’re never covered as much as you think you are. The punchline is unlikely to have anybody rolling around the floor in fits of laughter (if it does, you should really get out more) but it certainly seems pertinent in light of the Mondelez vs. Zurich Insurance Group case. As reported by the Financial Times, Mondelez, the food conglomerate that acquired Cadbury in 2010, is suing Zurich Insurance for its refusal to pay-out on a whopping $100 million claim relating to a cyber attack. Mondelez was among the numerous unlucky organisations to fall victim to NotPetya, one of the most infamous malware attacks of 2017 — the White House called it: “the most destructive and costly cyber-attack in history”. According to Mondelez, NotPetya brought down 1,700 of the company’s servers and 24,000 laptops. Mondelez claims, under the terms of their property insurance policy with Zurich, it’s covered for “physical loss or damage to electronic data, programs, or software, including physical loss or damage caused by the malicious introduction of a machine code or instruction”. Zurich offered an initial payout of $10m but then rejected the claim altogether citing an exclusion for “hostile or warlike action in time of peace or war” by a “government or sovereign power.” Of course, Zurich will now have to prove the Russian government was involved. While American and British intelligence are confident they are to blame, it is still going to be a tricky process to present irrefutable proof. Whether or not Zurich’s “war exclusion” argument will succeed remains to be seen but this case also points to a broader issue commonly found within the cyber insurance marketplace: ambiguous policies. Thanks to the sharp increase in cyber incidents, cyber insurance is growing in popularity fast. PWC estimate annual gross written premiums for cyber insurance will increase from roughly $2.5 billion today to $7.5 billion by the end of the decade. But it’s early days and some would argue that the market has a long way to go. Bruce Hepburn, CEO of Mactavish, thinks aspects of the market are “immature” and “untested”. According to a recent report by his company, which surveyed around 700 UK senior managers, just 40% of respondents believe their organisation has adequate insurance cover against cyber-attacks. Fewer than one in three believe their company currently buys cyber-specific insurance; 35% think cyber insurance in unfit for purpose; 30% thinks it’s too expensive and 22% do not trust insurers to pay-out. To put it bluntly, it appears the insurance sector has not been able to keep up with cyber threats. As new threats pop-up in cyberspace, new policies typically lag behind in a confused state. A lack of visibility of their client’s cyber health also challenges insurers. This is very important for insurers, for example, if somebody wants health insurance, proving whether or not they smoke or that there’s no hereditary diseases which run in their family is vital in establishing how much their premium should be. The visibility issue isn’t just one affecting insurers. Many firms don’t have the tools to adequately assess and respond to the rising levels of cyber risk they’re exposed to. A recent report from the insurer Hiscox claimed that nearly three-quarters (73%) of global firms are “cyber-novices” when it comes to the quality and execution of their security strategy. If it’s the case (and it is) that cyber insurance policies are confusing and have room for improvement, the best thing a company can do is first to understand the cyber risks they face, and then secure a bespoke policy to meet their needs. But as the Hiscox study pointed out, understanding cyber health is clearly a struggle for many organisations. “Of course, many companies don’t have a full view of the things that could go wrong, but there are steps you can take,” explained Rose. According to him, a common mistake many customers make when shopping for cyber insurance is going through the same insurance broker they’ve been dealing with for years. Rose also stressed the importance of carrying out a cyber risk assessment. This, he argued, can help organisations understand the areas they need to protect and where they are most vulnerable. According to Digital Risks, businesses should audit the data and information that they hold and then establish it’s value. Then they should look at how they store it. All this will help you understand what you want out of a policy. 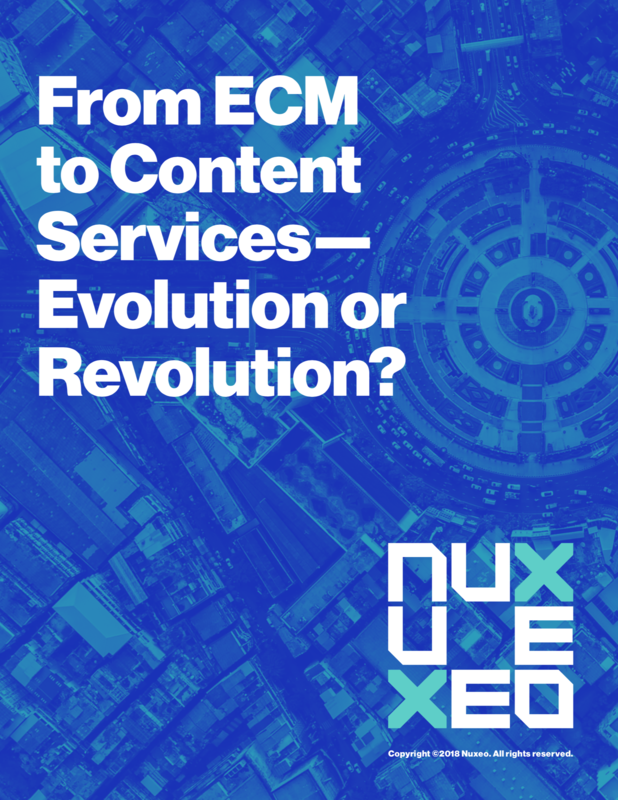 The move from ECM to Content Services has been well debated – but what does it actually mean for end-users? 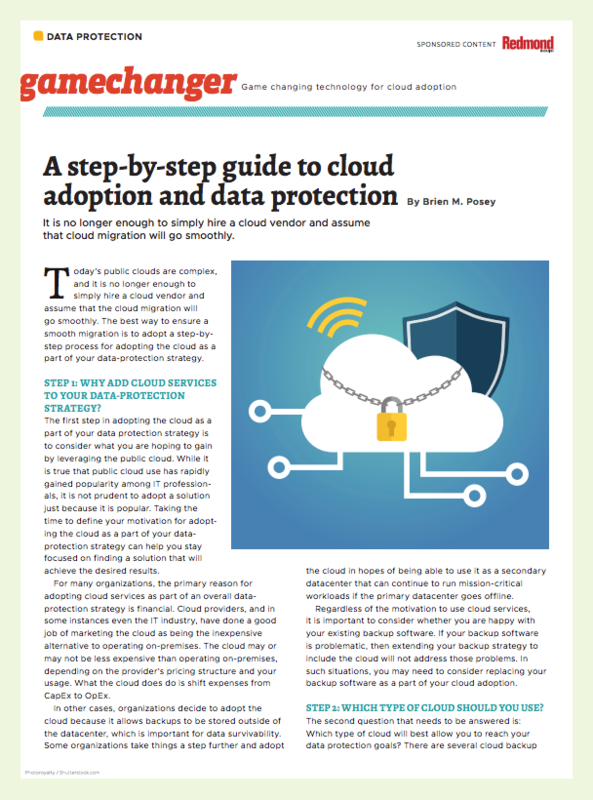 Public clouds can become an essential part of your data protection strategy. When is self-service technology right for your business? Desktop-as-a-Service: The new frontier for end user computing?